We would like to take this opportunity to welcome Dr. Sara Grimes, Associate Professor in the Faculty of Information, Director of Semaphore Lab, and Fellow in Book and Media Studies at St. Michael’s College, as the new Director of the Knowledge Media Design Institute (KMDI) – Semaphore. KMDI and Semaphore are currently amalgamating to produce a broader spectrum of research. Professor Grimes’s work is centered in the areas of children’s digital media culture(s), play studies and critical theories of technology, with a special focus on digital games. 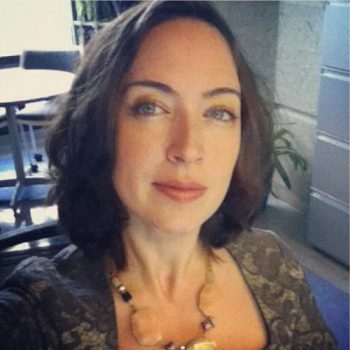 Her published work explores the commercialization of children’s virtual worlds, the articulation of a critical theory of digital game play, discussions of intellectual property and fair dealing in digital game environments, as well as the legal and ethical dimensions of marketing to children online. She is Principal Investigator of the Kids DIY Media Partnership, a cross-sector, interdisciplinary research collaboration aimed at supporting children’s cultural participation through the creation and sharing of digital media. To learn more about Dr. Grimes, visit her website. Be sure to follow Dr. Grimes on Twitter, @smgrimes.